Cats, already the overlords of the Internet, also reign over Jekyll Island (map), a small barrier island off the coast of Georgia. The island is home to 150 free-ranging cats, which is about one cat for every five people. While the feral felines can help control the numbers of rats, mice, and other animals considered pests, they can also prey on other local wildlife—including, most controversially, birds. A 2013 study, for instance, estimated that free-ranging cats are responsible for killing billions of birds and mammals in the continental U.S. every year, including possibly up to 3.7 billion birds. The study sparked major debate among both bird and cat groups. Enter the KittyCam: A small, collar-mounted video camera that records life from a cat’s point of view. By putting KittyCam on 31 feral cats for a year, Hernandez and her team gathered many hours of footage that let them see exactly what the island’s felines did—and didn’t—catch. Unexpectedly, birds were not at the top of the menu—their diet mostly consisted of large insects and frogs, Hernandez told us by email. We asked her to tell us more about her Kittycam research, which will be published soon. Where did you first get the idea for the Kittycam project? At the time I had a doctoral student at UGA, Kerrie Anne Loyd, who was passionate about learning more about cat impacts on wildlife [Loyd is now a researcher at Arizona State University]. I had been thinking about putting cameras on cats for a while when Kerrie Anne came along, so I called Greg Marshall from [National Geographic’s] Crittercam program and he explaimed that he has just put a camera on his cat! So I asked him what needed to be done to get several cameras made and we set out to find funds. Why did you select Jekyll Island? It is a barrier island high in biodiversity, and it is a key stopover point for many neotropical migrant birds. It’s also a well-contained place to study atrap and release program, in which feral cats are captured in humane traps, are spayed or neutered, and then released back into the community. The colony of feral cats are fed once a day by John & Shelley Allison of Suzie’s Friends. How did you get the cats to wear the cameras? Habituating cats to place a KittyCam takes a lot of effort. Then we have to deploy/remove the camera on the cat five-to-seven times to get sufficient video hours to classify the cats as hunters. Then we try to get more footage on cats that hunt to determine the most common kind of prey they kill. Plus we analyze the kills to see if they consume them or leave them behind. Yes, [that] cats eat a lot of large-bodied insects, and many more frogs than I ever thought! It really reinforces that cats will eat whatever animals are most abundant, whether it’s birds, amphibians, or insects. I was [also] really surprised at how few birds the cats actually ate. What was the response from the general public to your research? Most have been very supportive. Some folks think that anyone who studies what cats do in the environment are against cats. That is simply not true. I love cats. I do not like them free-roaming in the environment because I also love wildlife. This is not an issue with the cats, it’s a people problem. What does this information tell us about the effects of feral cats on the environment? Cats are essential predators, which means they hunt and kill prey even if they’re not looking for food. Our ongoing analyses show that 59 percent of cats in the feral colony hunt. That means that even well-cared-for cats kill wildlife. For the pet cats we analyzed, about 70 percent didn’t consume their prey. Is there a way to reconcile cats and their environmental effects? Yes! Cats can be enjoyed indoors, in outdoor enclosures, or on a leash and under supervision. Many people have found ways to allow their cats outdoors without allowing them to kill wildlife. 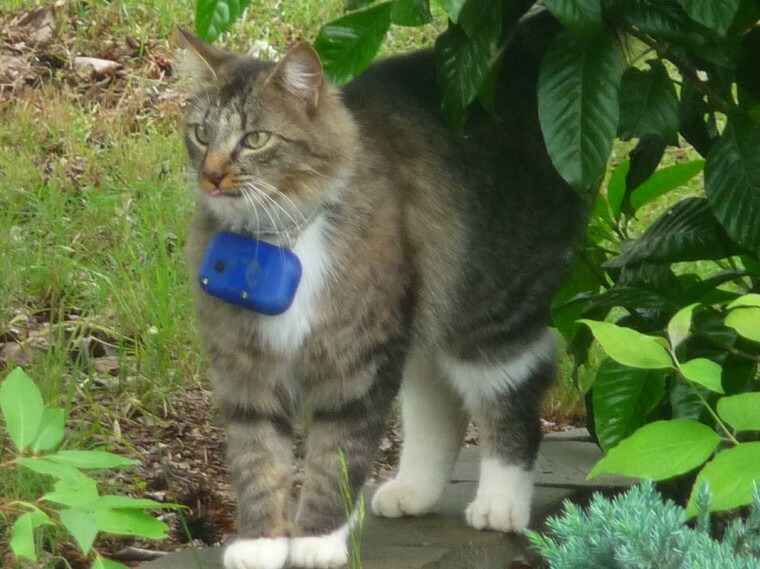 For cats that are already outdoors or impossible to pen/leash, there are many devices that prevent or at least severely hinder how a cat hunts. Bells, however, don’t work.